First came smoke, then comes gunfire, and then came the BULLET. The white glowing bullet wasn’t some kind of reflection. 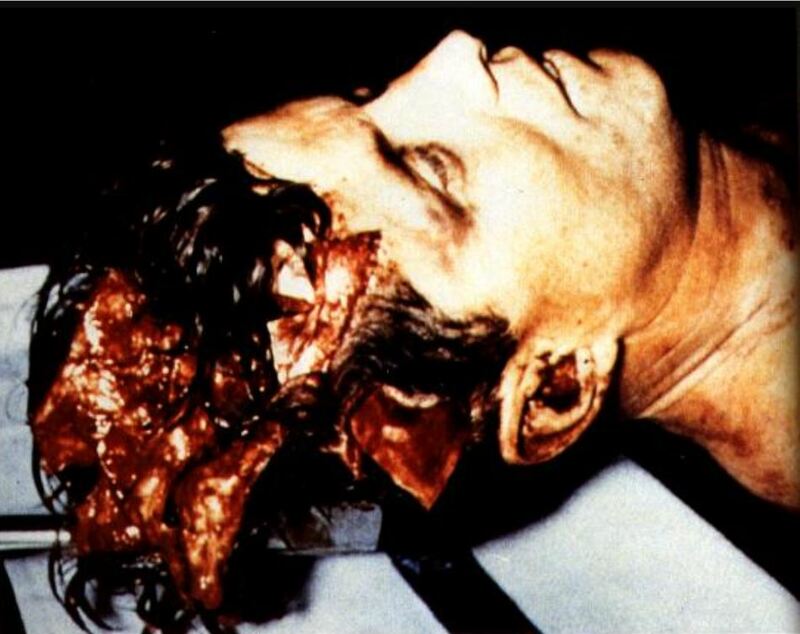 When it hit JFK’s head, it caused him to thrust his head back. Notice the bullet lodges into his skull and moves back and forth inside his head after entry. Video of Jackie shooting JFK matches damage on Autopsy photo. Bullet entered from front above right eye at hairline. Damage fanned towards the back of head blowing skin open and back. NEW Surgeon General and FBI * Say JFK was Shot from THE FRONT !! WATCH Jackie STASH THE GUN BEHIND THE SEAT !!! as SHE PULLS THE TRIGGER !!! and Kennedy family offered her $1M to stay. CIA introduced them. Oswald’s mentor taught Jackie how to ride a horse when she was a kid.